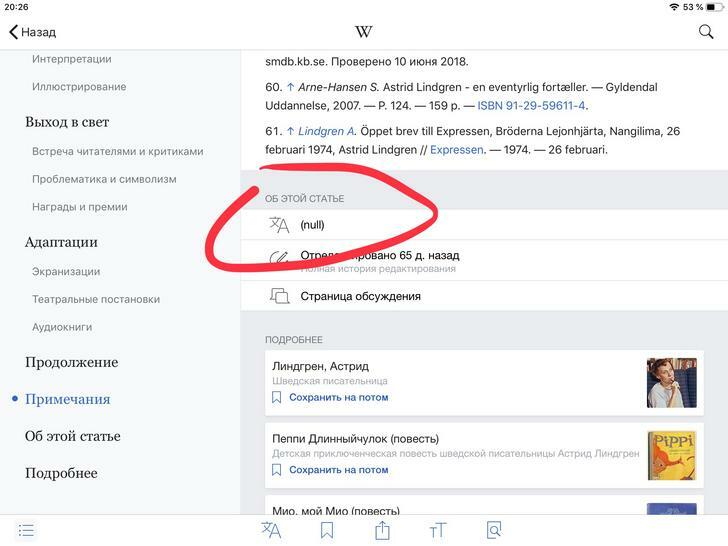 In Russian localization, label "Wikipedia-ios-page-read-in-other-languages" is display as `(null)`. See screenshot. @Iluvatar what's the article in the screenshot? 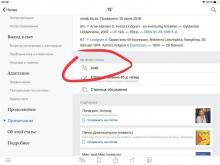 The problem is in any article in Russian. LGoto added a project: iOS-app-v6.2-Beluga-On-A-Pogo-Stick. Mhurd moved this task from Needs Testing Criteria to Waiting for Build on the iOS-app-v6.2.1-Beluga-On-Stilts board.